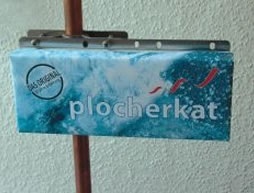 The Plocher® Kat, developed in Germany, brings structure to water via resonance (including the resonances from natural spring water and oxygen), using energy accumulators and imprinting technology inspired by Wilhelm Reich. The unit works without magnetism or electricity and without traditional vortexing, and its restructuring action is permanent. The unit is easily attached to the water line (does not require plumbing ) and is maintenance free. It can be installed on galvanized, stainless steel, copper or PVC pipes, but should NOT be installed on lead pipes. It should never be immersed in water or subjected to water spray. This small model is recommended for studios and apartments up to 850 sq ft. It can easily be installed (clips on) to pipes or individual faucets from 1/4" to 3/4" in diameter and can revitalize up to 160 gallons per day. Easy to remove and good for travel. 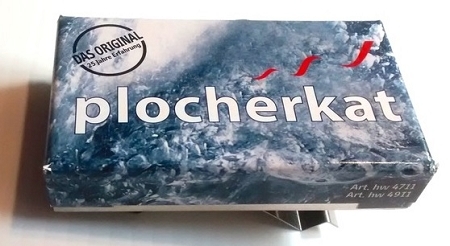 NOTE: For best results, it is highly recommended that the PlocherKat be accompanied by the EMF Protection angle (see accessories - below) to protect water from transient electrical interference, often referred to as "dirty electricity".